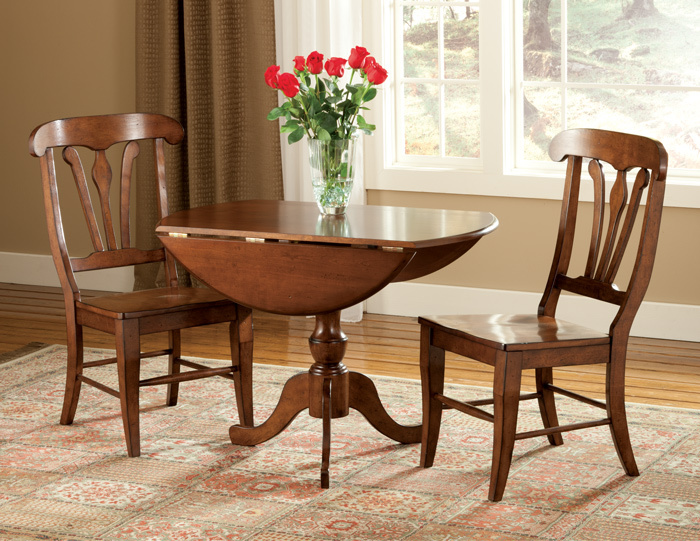 Ideal a small dining area (42”L x 26”W x 30”H), our double drop leaf table transforms into the extra needed dining space (42”DIA. x 30”H) as needed. The comfortable chairs (23”W x 24”D x 40”H) are sold as a set of two. 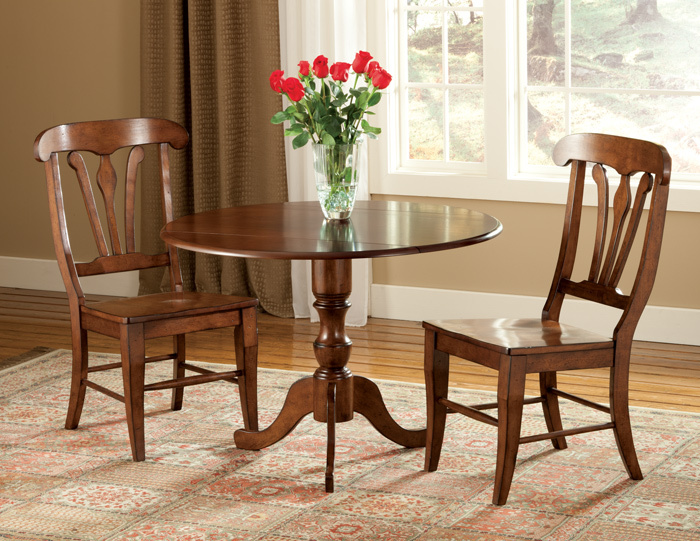 Crafted of Asian hardwood with a cherry finish, the dining set will give years of pleasure.